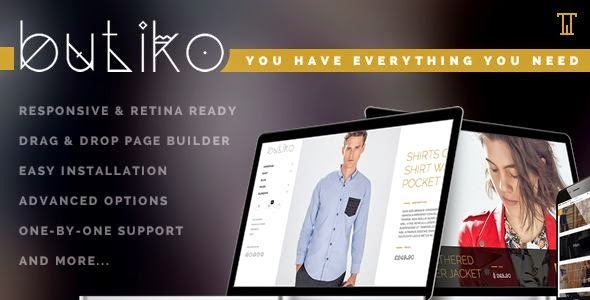 Butiko is an new responsive WooCommerce WordPress theme that will give you all you need for eCommerce website. It has 8 awesome homepage layouts vertical slider, masonry, commerce slider, parallax, classic style, full slider and more. Item Reviewed: Butiko 8 in 1 Responsive WooCommerce Theme 9 out of 10 based on 10 ratings. 9 user reviews.